For This Child I Prayed: 30 WEEKS!!!!! Woo hoo!! 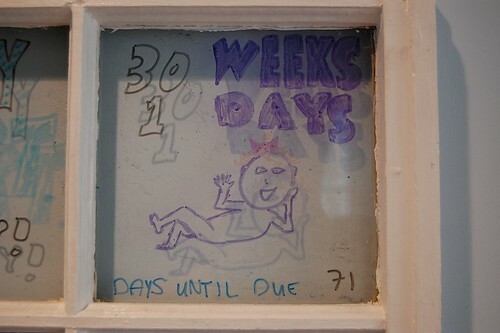 I don't know why, but 30 weeks always seemed like such a landmark to me. I'm so glad to be in the 30's! This old window pane is on a wall in our bedroom. 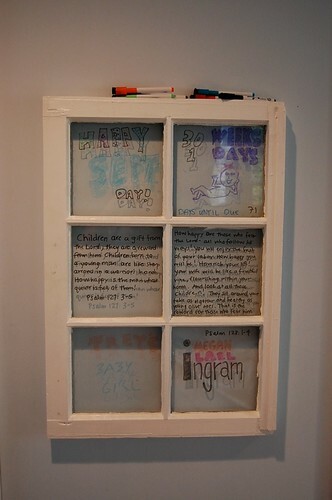 We like to write messages to each other, bible verses, or just silly stuff on it. Ever since we found out we were expecting Trey has kept up with our daily countdown and our weekly progression.